Yevgeny Khaldei's biography is nearly a mirror image of the history of his country, Soviet Russia. He was born on March 10, 1917 in the mining town of Yuzovka, Ukraine, to a Jewish family of a bookbinder. Efim was the third child in the family. The town of Yuzovka was renamed twice, first to Stalino and then to Donetsk. A year after Efim's birth, his mother was killed during a pogrom. Holding the little boy in her arms, she managed to turn her body in time to shield Efim from a bullet. That same bullet wounded little Fima in the right lung. After being wounded, he was nursed by his grandmother Anya and grandfather Zalman, an observant Jew and a teacher in heder. Efim's father remarried and had three young daughters, while Efim continued to live with his grandparents. In Yuzovka at the time, the Kleiman brothers owned a photo studio. Fima's neighbor was their business companion. A curious child, little Fima often came to the Kleiman brothers' studio and volunteered to help washing the plates, and at the same time tried to understand how a camera works. Following instructions in a manual, Efim made his first camera from two cardboard boxes and his grandmother's eyeglass lenses. From a balcony, he took a photograph of a beautiful site that fascinated him – the town's church. He developed the glass plate under his bed, and made a print under a flashlight that he painted red. It worked! Soon after that, the church was demolished, and Efim took another picture, which became a witness of the past. At that moment Efim understood the power of the photographic image. In 1930, Khaldei finished fifth grade. Saying he was a year older than he was, he found a job in a factory and received a worker's card, which entitled him to 800 grams of bread a day. It was the beginning of the Great Famine in Ukraine. 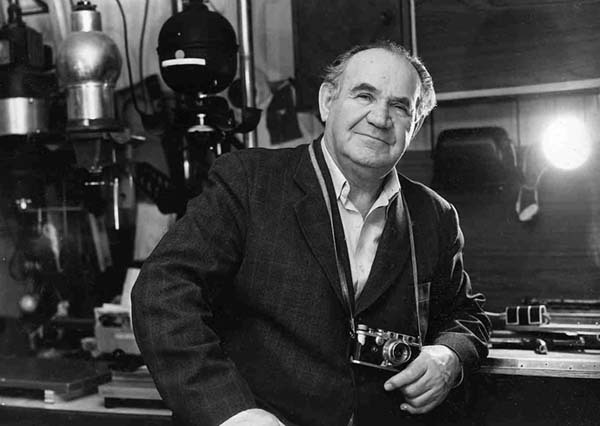 Khaldei took a one-year loan and purchased a real camera – FOTOKOR-1 – and started to take many pictures. His photo of a worker standing next to a towering gas holder caught the attention of the editor of a factory newspaper, who offered Khaldei a job delivering newspapers to the factory's workshops and taking photographs of model workers. He used a homemade flash from a pole and an empty shoe polish can filled with magnesium powder. In 1932, at the age of fifteen, Khladei travelled throughout the region around Stalino, taking photos for a team that was documenting industrialization for the state propaganda machine. Thus began Khaldei's career as a photojournalist. His teachers at the time were newspaper editors at agencies in Moscow such as Pressfoto and Soyuz Foto in Moscow, the predecessor of TASS. Khaldei started to send his glass plate images to various photo agencies around the country. Some of them accepted his work and even paid five rubles per negative. Khaldei continued to learn the photographer's craft on the job and by studying educational brochures and the work of other photo journalists. He photographed factory workers, collective farmers, and miners. The country was beginning to emerge from the famine and devastation, and was building a new ideology. In 1933, Khaldei worked for the newspaper Stalinist Worker. He learned how to develop film and make prints quickly. His photos were already in the newspaper by the end of the day. Khaldei was soon noticed and invited to work at one of the best Ukrainian newspapers of the time, Socialist Donbass. In 1935-36 he participated in a few exhibitions and won prizes. Soon after, he was sent to Moscow for further training. 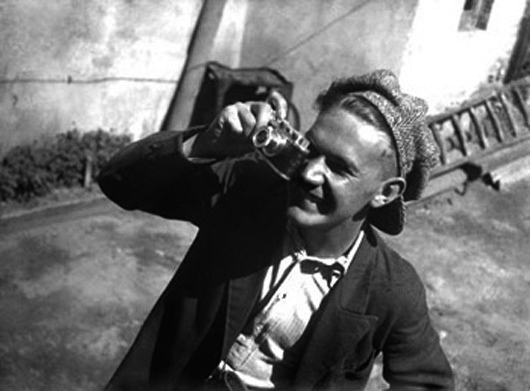 In 1936, Khaldei was accepted as a staff photographer for the state news agency TASS. His first assignment was in Yakutia, followed by an array of important assignments in western Ukraine, Russia's Far East, Tien Shan, Karelia, and Kyrgyzstan. On June 21, 1941, Khaldei returned from Tarkhan. The next morning, June 22, the Great Patriotic War began. Khaldei's journey in the war stretched from Murmansk to Berlin and crossed Kerch, Novorossiysk, Rostov-on-Don, the Kuban, Yalta, Sevastopol, Bulgaria, Romania, Yugoslavia, Hungary, Austria, Harbin, Port Arthur, Potsdam, the Nuremberg trials, Paris, and Cannes. He covered thousands of miles on ships, planes, military trucks, tanks, reindeer, and by foot, and shot hundreds of meters of film. In four years covering the war, Khaldei became a master capable of telling a story with one image. He left for future generations an account of the horrors of war. His war images were imbued with his own pain for the country, its people, its losses and the longing to live to see victory. Meanwhile, the Nazis' retreat from Soviet territory exposed their atrocities. When Khaldei's home city (now named Donetsk) was liberated, he learned that his father and sisters had been betrayed to the Gestapo, who threw them down a mine shaft. Before the Red Army stormed Berlin, Khaldei found three red tablecloths. His friend, a tailor, sewed three Soviet flags from them. 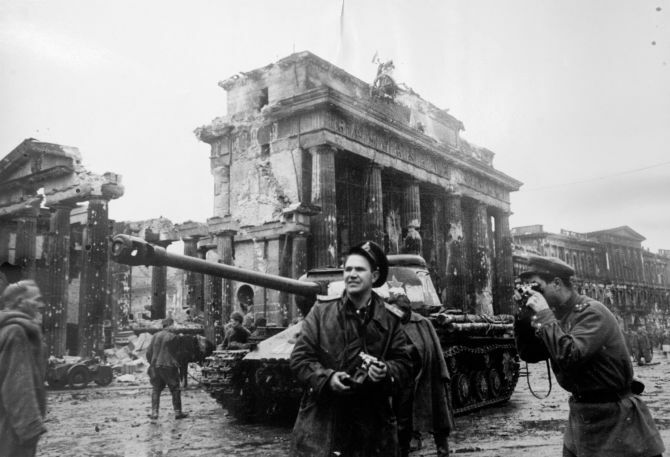 In the defeated German capital, over the Reichstag, Khaldei created his most famous image. He composed the Victory Flag image in such a way that it is at the same time a work of art and a historical document. There is, however, more to the story of the iconic Victory Flag photograph. Khaldei rushed to Moscow to deliver the images. The editor at TASS liked the material, but noticed that the officer on the image was wearing watches on both wrists, suggesting that one was looted. The editor ordered Khaldei to scratch off the watch on the officer's right wrist. For fifty years there was only one, edited version of the image in print. Now we can see the original photograph. The heroism and courage of ordinary men and women in war, the joy of victory and the pain of defeat, the human suffering – all of these Khaldei experienced himself. He was in the Kerch landing and the dramatic retreat. Khaldei captured the images of men pulling heavy artillery with their own hands, the reindeer Yasha who was rescued by soldiers, the young female pilots of the 46th regiment who pulled their military vehicle ZIS-5, and countless others. Khladei's military service during the war began in Russia's North, where the enemy did not reach. He first encountered the atrocities in the occupied territories near the village of Begerovo, where in anti-tank ditches the Germans killed seven thousand civilians, mostly Jewish women and children, including infants. Then the yard of the Rostov prison, where he witnessed mountains of disfigured bodies. Later he photographed a Viennese synagogue stuffed with coffins, and there, also in Vienna, he found a German soldier's body torn to pieces by a direct artillery hit. Khaldei photographed on many fronts of the war. As a war correspondent he had access everywhere. He loved the people he depicted. After the war he made great efforts to find the subjects of his photographs who survived. At the Nuremberg trials, three of Khaldei's photographs were used as evidence for the prosecution: destroyed Sevastopol, dismembered bodies in the Rostov prison yard, and Murmansk after German bombing raids. Khaldei called one of his photographs "Why War?" In the ruins of Berlin, he saw two German civilians, one of whom was blind. Khaldei asked them where they came from and where they were going. But they didn't know. They came to the end of the war. The photograph "Life Again," taken in May 1944, depicts young people sunbathing against the background of the ruins of liberated Sevastopol in the Crimea. This photo was kept in an envelope for fifty years and could not be displayed for ideological reasons. In another photograph, young girls in Vienna walk a small dog – for them the long-awaited spring without war has just begun. After the German surrender, at the victory parade in Moscow, Khladei photographed Marshal Georgi Zhukov galloping into Red Square on a white horse, with all four hooves floating in the air. Khaldei was often asked how someone without formal education in art or photography could compose images that so accurately communicate the essence and mood of a moment or event. Khaldei would reply, "with my heart and soul," and add that he always strived to take pictures that would be interesting to look at today, as well as tomorrow and in the future. For his participation in combat during the war, Khaldei was awarded the Order of the Red Star, Order of the Great Patriotic War, and twelve combat medals. In 1948 Stalin launched his campaign against so-called cosmopolitanism, which in reality was a thinly veiled persecution of Jews. Khaldei was dismissed from TASS agency and for eleven years lived on odd jobs, for small magazines and newspapers. In this period, he traveled all over the Soviet Union, photographing life and work in such places as Azov metallurgical plant and Volgo-Don channel. Only in 1959 was Khaldei again allowed to work for a big publication and was hired by Pravda newspaper, which he left in 1972 for Sovetskaya Kultura newspaper. During these years, the subjects of his assignments were the events of the country, both large and small. In 1995, France awarded Khaldei the Chevalier Ordre des Arts et des Lettres. At that time Khaldei met the American photographer Joe Rosenthal, whose photograph of the Marines raising the U.S. flag in Okinawa Khaldei credited as an inspiration for his composition of the raising of the Soviet flag over the Reichstag. Yevgeni Khaldei died in 1997 at the age of 80. He dedicated sixty-five years of his life to photography. By looking at his images, one can study the history of a country that no longer exists. His photographs are still alive and needed. His generous and open-hearted view through the lens of his camera left us with a huge legacy of a happy man who loved life and people.